Introducing....the Gidget! Includes FREE personalization!! 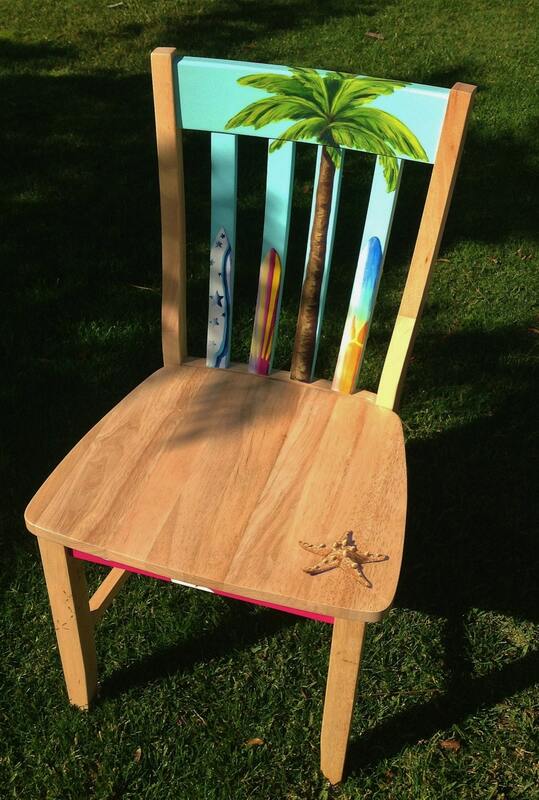 This solid hardwood, adult sized dining chair is hand painted with an adaptation of the Jack and Ben models, in a cool surfboard theme with funky feminine flair! 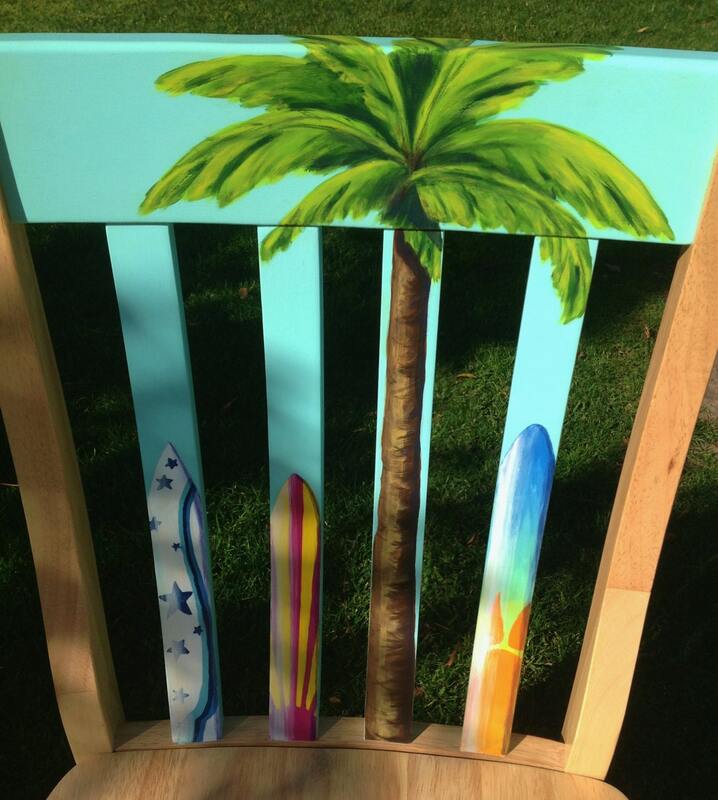 Three surfboards stand ready to catch the next wave next to a tall palm tree. 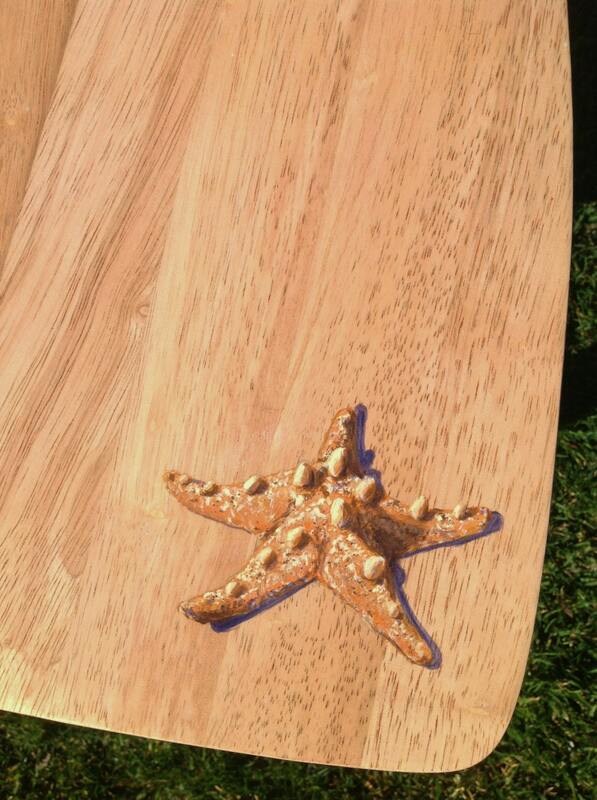 The seat and legs are left natural to represent the sandy beach, where a sea star hangs out--so realistically rendered, you might think twice about sitting on him!. 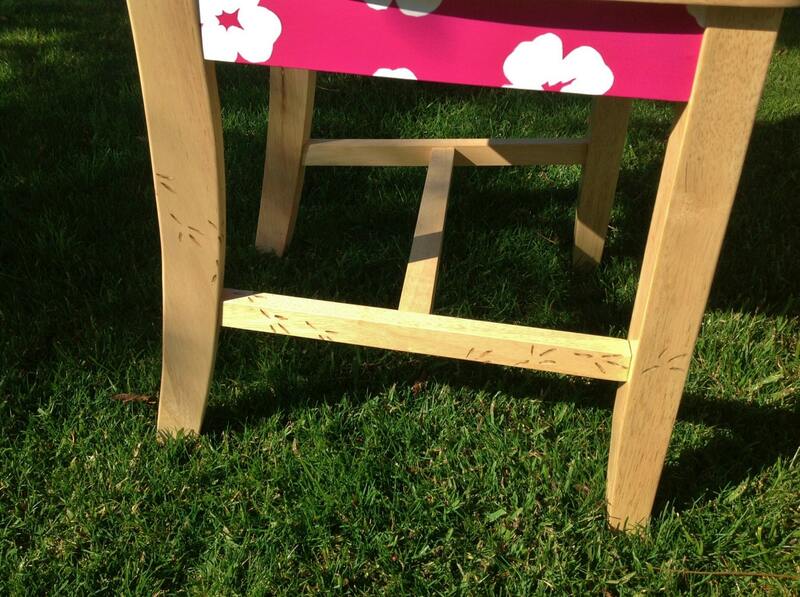 Tucked around the side, meandering bird tracks add an unexpected element of discovery and charm. The entire chair is sealed with five coats of protective finish for durability and easy care. The color palette is bold and fresh, with a sassy lipstick pink Hawaiian print, and bright yellow, blue, and orange adding pop to the surfboards. 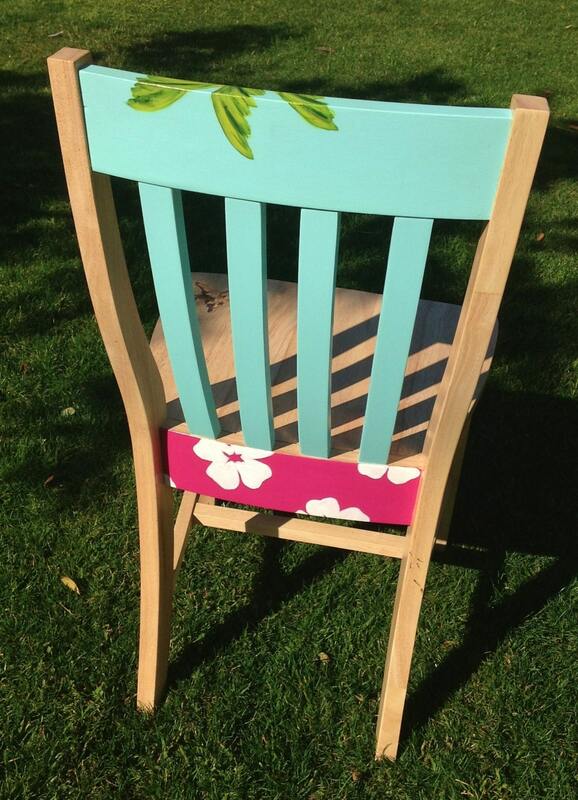 There is ample room on the back to personalize with a name--see Jack and Ben listings for examples! Using all non toxic paints and sealers, it's perfect for use as a dining chair, a desk chair, or as a wonderful accent piece through childhood and beyond. The designs seen here can be customized to suit your color scheme or your theme--each piece is one of a kind and made to order. Dimensions are (WxDxH) 19x20x36. Please contact me for additional details on customized pieces (additional fees may apply) and let's see what treasure I can create just for you! Each piece is signed and numbered for authenticity. Please allow 10-12 weeks for completion. Shipping is an estimate only, please contact me for a quote to your location.